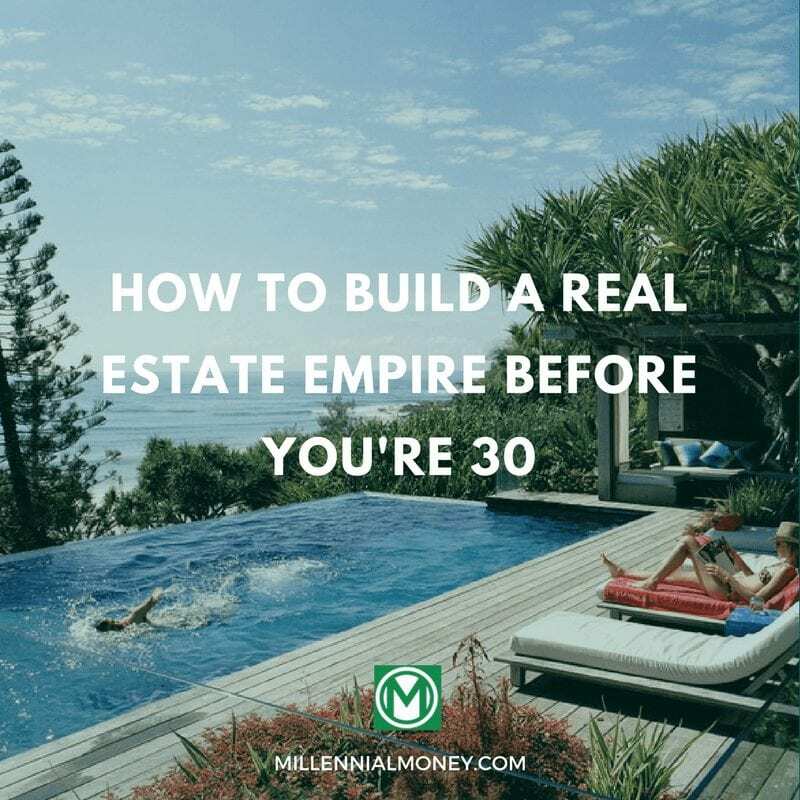 MM Note: This post was written by Jacob Perez, one of my homies and frequent Millennial Money contributor, who has created a multi-million dollar real estate portfolio before the age of 30. In this post, he breaks down the blueprint anyone can use to scale real estate investing from one property into many. When I started real estate investing at 23 years old. One of my biggest sources of pride was the fact I was doing it alone, by myself, no partners, no co-signers etc. Looking back, I’m glad I started this way, and if you can, I’d recommend investing by yourself (at first). The reason this makes a lot of sense is you’ll develop skills in every facet of the transaction (buying, renovating, dealing with tenants, tracking finances, networking, etc.). With that said, if you want to scale your real estate investment portfolio like a pro and build a real estate empire, you’ll have to bring in investment partners. If you’re like the old me and have a twisted sense of pride in doing it all yourself, consider this, if you can make yourself money and an investment partner money at the same time, is that not a bigger accomplishment? Your ideal real estate investment partner will bring something to the table that you’re currently lacking. For me, I looked for two things, OPM & OPC. OPM stands for “other people’s money” and is key for the hefty down payments needed for rental properties. OPC stands for “other people’s credit” and is a key factor that’s often overlooked. Being approved for mortgages is just as difficult as raising capital. Bank qualified partners allow you to borrow more money at extremely low rates. Using the upcoming steps, I was able to close 4 money partner funded deals and build my real estate empire in 14 months. If you are looking to scale your real estate investing business here’s a solid blueprint. I’m going to burst a few bubbles with this first point. One must already be (notice past tense) a successful investor to attract a money partner to invest in their deals. If you’ve never invested yourself, using someone else’s money is irresponsible. Don’t you think? Real Estate Investors will be drawn in by two key things: Your Expertise & Your Success Stories. Having no deals under your belt shows two things: One, you lack experience, & might not know what you’re doing. Two, you haven’t been disciplined enough to produce & save enough of your own money to invest in a deal. Neither is going to look good to a real estate investor. If you’re investing in your first income property, stop here, read this, and then learn about house hacking and then how to house hack. It’s important to regularly evaluate those you do business with. Whether it’s a contractor, realtor, plumber, etc., anyone you work with should be augmenting your process as opposed to simply performing a transaction. Work with the best people in your region, not your best friends who work in the industry. Right now, the focus is getting some wins on your record. If you have an average or poor result from a personal investment, that’s one less success story for you to sell to real estate investors later. The latter is not something everyone thinks about, but if people are coming to you regularly asking you if you have a guy for this or that, that’s good. This means you’re doing something right and you’re becoming a go-to source for information. This feeds off the last point. You want to establish yourself as a real estate investor people come to, trust, and rely on for assistance with everything real estate. As you help more enough people with their real estate transactions, your reputation will start to grow in the community. Word definitely spreads. 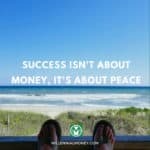 Remember your first goal attract a money partner, a reputation as a savvy investor is going to help that. They key word is resource. You’re not trying to show you’re an expert by talking a big game. Be interested in other’s real estate transactions, be genuine and helpful, and they’ll be the ones to speak your praises. You can only do so many real estate deals on your own. Being a resource for your friends and network who are also investing will add to your experience even if you’re acting a resource on the side. You’ll develop an intimate knowledge of the neighborhoods they enter, and naturally, they’ll improve on some of your processes you passed on to them. Personal note: Several friends of mine have taken the leap in real estate investing and leverage some of my experience over the years. I can honestly say these friends are now some of my biggest resources for information and have more than returned the favor ten-fold. Now we are all building real estate empires together. Givers Get. Thank you, Don R. Campbell, for this tagline. 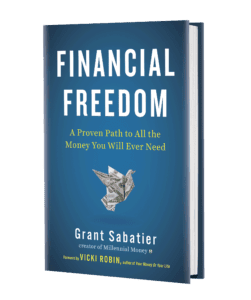 If you haven’t read it already, he has a great book about Joint Venture Real Estate Transactions called Real Estate Joint Ventures which does a great job of breaking down deal structure specifically. The book is targeted to Canadians and is expensive, but it’s worth it for anyone anywhere to buy. I’d consider this a must read for those interested in bringing partners in their deals. People need to know that you invest in real estate. Now I’m not saying to post every success on Facebook or Instagram (no one likes that person). But those in your network should know you as a savvy investor. Everything mentioned up to this point will lead you there. But you’ll need to continue to drive it home. When people show interest in your real estate investments, always recommend they should invest as well. Realistically, if you’re having success investing in Real Estate, don’t you want the same for your family and friends? Encourage people & let them know it’s possible. Sometimes something as simple as saying “We could potentially buy something together” can trigger a conversation down the road that can lead to a JV. The more you grow on your own, the more questions you’ll get. This will lead to more opportunities. The two most important things we broke down are that you have to actively invest in real estate, & you have to have success doing it. Investors want to work with professionals. If you’re in the position where people are showing interest in working with you, it’s likely because you put the work in and have the results to show. Don’t ruin it by avoiding the little details. Presentation matters. Luckily, it’s easy to look professional. Now is the time to start building a brand. You might feel like you’re “faking it”, ignore those thoughts. In reality, this is just another check-point in your evolution of what you’ve set out to become. The following steps break down how to look the part of a professional & close the leads you’re beginning to attract. Build a Basic Website – With this link you can set up a website for $2.95 a month using Bluehost. You can do it all yourself and don’t need to hire anyone to build your web presence. Business Cards – Again, this is something you can create very easy on many DIY websites. Make sure to have these cards on hand for any social or business outing you find yourself in. This is simply about looking the part. Create Highlight Package Outlining All of your Real Estate Transactions – In this PDF or Digital Brochure, you’ll highlight key features like (purchase price, expenses, rental income, cash flow, current market value, ROI) for each transaction you’ve completed. Don’t share this right away, just have it handy for when conversations begin to get more serious. Now that you look the part, it’s important to act it. All email communications must go through a business email. The same place you registered your web domain will be able to create a custom email address for your business. Link this new email through Gmail to make things as easy as possible. Use an email like JohnSmith@SmithInvestments.com. Next set up a professional signature, job title, etc. Again, this costs very little money and increases your legitimacy right away. A lot of the focus so far has been on presenting yourself to a JV Partner. One thing to note is that you don’t want any JV partner. You’re going to be tied to this person financially for years to come. Protect your time by determining if your leads are a fit before taking them through your entire sales process. You’ll do this by asking qualifying questions casually throughout your communication. Do they have the capital required to invest in real estate? If so how many deals (potential for multiple deals is important). Determine the skill set you bring to the table, determine what you need from a partner & walk away if the potential partner isn’t a fit. If you’ve determined there’s a fit. This is the time to start building the relationship further while continuing to showcase some of your skillsets. Start sending this potential partner real estate listing you find interesting every week. Provide quick summaries of the pros, cons, and cash flow projections of these properties. Teach them the fundamentals of evaluating transactions. This will give the partner confidence in your process. If the potential partner starts sending you listings back and asking your opinion, that’s good. This is a sign that someone is invested and excited. Case studies are the most impactful thing you can provide any potential investor to build trust. Take your existing real estate transactions & calculate the exact return a partner would’ve yielded had they invested with you on day 1. That provides a real number that isn’t speculation based. If you’ve generated strong returns in your portfolio so far you can really drive the point home using this strategy. Take it one step further and compare the returns they would have yielded investing with you compared to a return they might get from a mutual fund, GIC, or arbitrary figure of your choosing. 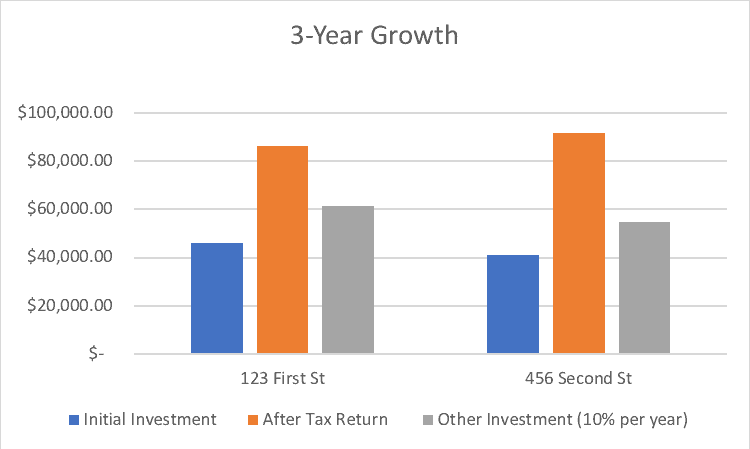 This not only shows the return they would’ve made investing in one of your transactions, it also compares it to investing in a traditional financial product yielding 10% per year. If you can compare your investments to high performing financial products and still come out with a significant win, you’re in a great position. If after all this the prospect is pretty much sold. The next step is to create what’s called a letter of intent. Buying a home, whether a personal residence or investment is an emotional process. Especially for first-time buyers or investors. As a result, you want to get everything agreed upon in writing in advance so everyone knows where they stand. The letter of intent is a tool to keep everyone in the agreement on the same page so that no one strays from the strategy. The letter will break down type what type of house you’re looking to buy (ex. 3-bedroom bungalow), in the specific neighborhood districts you’ve pre-determined, all within a specific price range that is suitable for cash flow. We can expect rental income between $1700-2300 per month. At these numbers, we can expect monthly cash flow of ____. This letter will be signed by both partners but is not legally binding to anything. This keeps the JV Partner comfortable & in a position to make a decision quickly when the opportunity arises because they were prepared for this type of deal in advance. There is no simple blueprint. Don’t waste your money on the seminars claiming this will happen overnight. Focus on maximizing your growth on your own first, & becoming the version of yourself who can attract a JV Money Partner in the process. Start being a professional right now, build your brand in advance so you look the part when leads begin to emerge. Understand the value you bring, and define what kind of partner you need to grow your business. Take the time to thoroughly qualify your leads to save everyone time in the long run. Case studies are the truth, speculation will get your burned. Don’t sell on possibilities, show people what they’ve already missed on out. Real Estate transactions move at very fast when a deal comes up. Make sure everyone’s on the same page in advance so you’re in a position to win the deal. Jacob Perez a Mortgage Agent by trade, has been investing aggressively in the Canadian Real Estate market since he was 23 years old. After some early success, Jacob began raising capital & leveraging joint-venture money partners to grow his real estate portfolio and is on pace to acquire at least five more properties this year. Building a real estate empire is very possible especially for affiliate marketers, side hustlers, bloggers, and even cushy day jobbers. You have to use your money options wisely in terms of diversifying what funds are going to be used for what. In my personal opinion, I believe investing in real estate is a very good choice and here’s why. 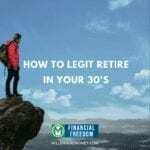 Side hustlers, affiliate marketers, and bloggers who earned significant amounts of monthly revenues online may question themselves how they will put money away for future retirement or grow their current earnings. 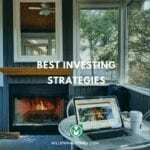 I feel taking a vast portion of your current earnings and diversifying it into real estate investing to build property and rent it out is a great way to immediately increase net profit potential. Overall, real estate is definitely the way to go for making big bucks. Real estate is definitely a great way to build a large portfolio that generates constant returns. The tricky part is picking the right property to buy. This is where finding the right team can make all the difference. A good team= good purchases= good returns. Great read! These are very important tips for the Real estate agents who want to be successful in the real estate. Thanks for sharing the article. Worth reading! !